Bíonn Lúthchleasaíocht ar siúl gach Céadaoin le Múinteoir Art. 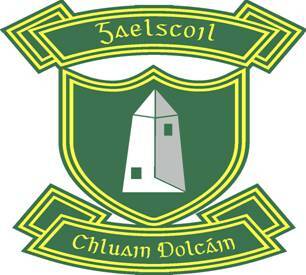 Glacann na daltaí pairt i Rásaí Tras Tíre eagraithe ag Comhairle Theas Bhaile Átha Cliath maraon le Lúthchleasaíocht Chumann na mBunscol a bhíonn ar siúl I Staid Morton, seantraibh i Mí Bealtaine gach bliain. Each year in May students take part in the Athletics event which takes place in Morton Stadium, Santry. These games are organised by South Dublin County Council and Cumann na mBunscol.